If you’re a foreigner in Japan sitting on public transportation you may get a lot of stares if you’re reading manga. People in Japan are amazed that foreigners are able to read a manga and might think you’re just looking at the artwork. They might even start to talk about your reading manga in Japanese thinking that you don’t understand. Whether you’re just starting out learning Japanese or have built up some experience reading manga is a great way to extend your learning of this language. 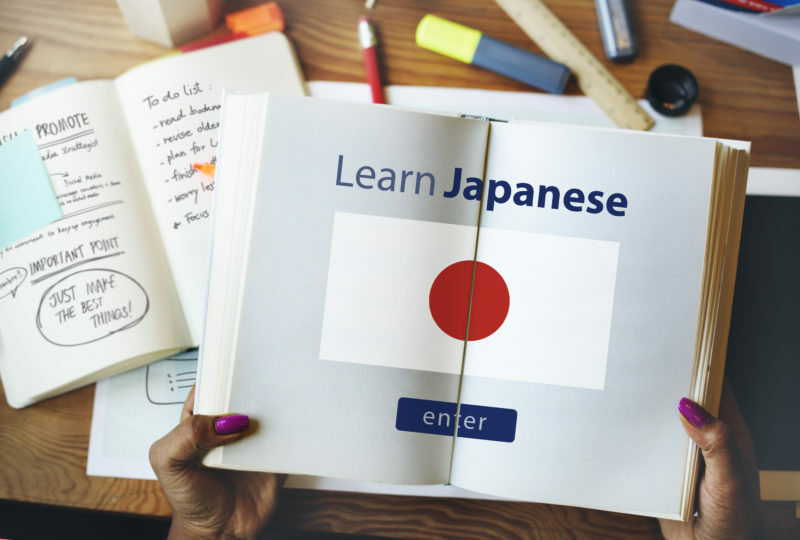 While you can also use language exchanges, TV shows, and music to learn Japanese, manga provides a fun and useful experience to learning it as well. If you want to know how to how to learn Japanese with manga than this guide will help you out. There are a number of reasons as to why reading manga is a great way to learn the Japanese language. Manga is widespread in Japan, and increasingly elsewhere in the world, and there are genres to fit everyone’s tastes and interests. How to learn Japanese with manga starts with the fact that there is plenty of artwork in this art form with fewer words. If you’re not familiar with manga it is the Japanese version of what comic books are in the West. If you’re starting out reading Japanese you will like manga because there’s a lot less text than a regular book and there are pictures to help you figure out what is going on. In order to learn Japanese, it wouldn’t serve much purpose to grab a newspaper and read some article about politics. Manga is great for people just learning the language just as it is for younger Japanese children. Manga usually has short, simple sentences which makes it great for those learning to read Japanese. In Japan, it is socially acceptable for everyone to read manga. In the West comic books are generally thought of as being for children or at most young adults. In Japan, though, even older adults read manga. This means you can read it while out in public and not feel any embarrassment over it. Publishers of manga, of course, want as wide a readership as possible. For this reason, they will usually have furigana in what they publish. Adults readers usually ignore the furigana while it helps children who use it as an aid. While it’s not intended to help foreigners learn Japanese it serves in that role admirably. If, when reading manga, you keep seeing the furigana for a kanji character this will quickly lead to you knowing what that character is. Another benefit is that the furigana, combined with short sentences and illustrations, gives great context to what you are reading. Go through the whole book without looking at any other resources to help you. If you’ve just started out reading Japanese this might not help that much and can be skipped, however. Otherwise, it helps you become familiar with how manga is laid out and will help you stay engaged throughout the story as it unfolds. The next step is to look up the Japanese words using an online dictionary in order to fill in the gaps of what you don’t know. You can also look up grammatical structure so you learn that as well. This will take quite a bit of time but it is very worthwhile when it comes to how to learn Japanese to read manga. As you go through the manga book a second time take notes about words you don’t know and whatever else you want to record. You can write directly in the manga book or in a notebook. The first time you see a kanji note it but you shouldn’t do so in subsequent pages. This is because you should already know the character from the first example. Read the book another time, this time with your notes handy. You should have a much better understading of what you’re reading this time through. The plot will be clear to you and the story will be more enjoyable since you really know what is going on. Read the book through again without your notes. Keep doing this until the book is easy to read. If you did make notes in the manga book itself than erase them before this step. Give it some time and then go back to the book to make sure you can still easily read it. If you can then the Japanese words have entered your long-term memory. This is a big accomplishment if you can pull it off and you should feel proud of it. If you want to know how to learn Japanese to read manga than you might as well start with the best books out there. Here is some of them. This series is absolutely huge in Japan and increasingly elsewhere in the world. It can be thought of like the Japanese version of the Lord of the Rings. Read by people of all ages, One Piece is about Luffy and he and his crew try to find a legendary pirate treasure. This series is about a high school detective who is altered in the body of a child. This series is also popular and each book has a mystery he solves. This series was started 30 years ago and has sold 100 million books. It is about Makunouchi Ippo who boxes in high school. Like other Japanese manga it’s about him defeating various opponents and winning tournaments around Japan. This is a great series to start with for beginning Japanese learners as it is intended for children. It is a funny series about a 22nd-century man sending a robot back in time to help out his father. The goal was to change the future and improve the lives of future generations of the family. However, the robot usually makes things end up worse than better.